Face the reality of your broken relationship, and unearth exactly what went wrong. Discover why you may attract toxic people. Heal from broken relational patterns so you can choose safer friends. Evaluate when it's time to press into a friendship or let it go. 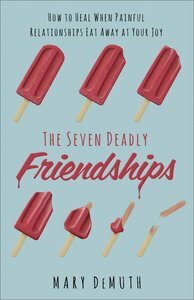 About "The Seven Deadly Friends: How to Heal and Move on After a Toxic Relationship"